Content marketing. Inbound marketing. Content promotion. Three phrases that could make any newbie freelance writers shudder in fear and apprehension. Are these relevant to freelance writing? Yes. Could these help budding freelance writers? Absolutely. HubSpot Academy made me realize this thru their Inbound Marketing and Content Marketing Courses. Each course is free of charge that consists of at least 12 classes that consumes up to six hours of your time and you may receive a certificate after passing an exam. The medium of training is thru watching a video; reading PDF files; or listening to a podcast. One of the things new freelance writers struggle is identifying their target market or target audience. In a world of more than four billion internet users, a right target audience where you could invest your content marketing efforts at the right time is a must. Another importance of having a target audience is stressed by the Balance: “In order for people to “buy into” a product or service, they need to relate to the tone and content of the message.” For example, you cannot deliver the same content aimed at startup companies to growth-stage companies. What type of industry they are in? What are the types of challenges they face at work? What are their short- and long-term goals in life? Then look at the trends which are based on the patterns and similarities of your buyer personas based on your research. By the way, you can create two or more buyer personas that you believe will most likely use the writing services you offer. Lastly, create a personal profile story which is the representation of your buyer persona. If you are creative writer like me, this is like character profiling so you could have a clear image of your buyer persona in mind. Awareness stage = your prospect experiences a problem and research about it. Consideration stage = your prospect finally finds out their problem and search for ways to solve it. Decision stage = your prospect found a solution and has now a list of possible vendors or providers who offers the service or product they need. You must write a content prepared for each stage using your buyer persona that your prospects can relate to. An example scenario is when your prospect’s website visitors decreases (the awareness stage). Write something that would explain the causes and implications of that problem (the consideration stage) and how could it be solved (the decision stage). Content is an essential part of inbound methodology. It is the tool used to attract, convert, close and delight your target market. Do not create content for the sake of doing it. It must have a purpose with the right format and best topic that could capture your prospect’s interest. I have learned in the HubSpot Inbound Certification Class that there are four steps to create content with a purpose: you need to plan, create, distribute, and analyze your content. The fourth and last process is the most important because it tells if the marketing strategies you have employed works or not. It is a numbers game though as it involves counting how many website visitors or inbound links you’ve acquired in a period of time. This is important so that your hours spent researching and writing would not be put into waste. How many visitors subscribe to your website or newsletter? Did anyone download your e-book or other content offers? This is lead conversion. There are three elements in your website which acts as tools to convert visitors into leads. These are the CTA, the landing page, and the thank you page. Every lead conversion starts by clicking a button which is also called the CTA. What makes a successful CTA? It must be action-oriented (i.e. download, watch). Make sure the keywords you use are related to your landing page and thank you page. The design standout and catch your visitor’s attention or interest. It has a proper on-page placement on your website (i.e. at the end of a post or in the sidebar). The page itself does not have navigation menu or links. The ideal number of landing pages on a website is 15. Each landing page is run through a blink test to enhance visitor’s experience. The content has a clear headline with a maximum of three sentences which explains the benefits of the content offer. Use bullets or numbers if necessary. The page has a clickable submit button. The page has social media sharing icons. Set a definite schedule when they will receive the content offer. The navigation menu or links are displayed on the page. List content links that are related to your offer. Place a CTA to guide them to the next conversion process. Place social media sharing icons at the end of the page. At the beginning of your freelance writing journey, ideas flow like a never-ending stream. However, as the years pass by, it will trickle like rain or worst, you could suffer the dreaded writer’s block. Gathering new material = gathering means reading or consuming content of every kind from marketing materials to science magazines. Digesting the material = after collating what have you read, the next step is to look for relationships or combinations in every content you have gathered. Unconscious processing = leave it for a while and do something else totally different such as listening to music or taking a walk. Let your unconscious organize itself. Great headlines attract clicks, shares, comments and links. All of which can help increase the amount of traffic flowing back into your website. Sounds good, right? Kissmetrics shared tips on how to write a winning headline based on human psychology. The tone matches the attitude of your readers. Do they prefer formal approach or like you are just conversing with them? Your content must solve their problem and able to help them. It is not about you. It should be about them. It should present additional or new knowledge to the topic at hand rather spinning what is already exists. Your content, from headline to conclusion, should be written the way people search. Write the introduction and conclusion after you have discussed the main points. It should have a core idea or main topic. As a refresher, you may revisit here how to write unified and coherent content from University of Ottawa’s website. Although self-promotion is a big no-no in inbound and content marketing methodology, your content should reflect your brand’s messaging, values and strategy. Never miss an opportunity to put a CTA at the end of every post like social media sharing options, subscribing to a newsletter or downloading an e-book if there any. Last but not least, the content is free from spelling errors and wrong grammars. 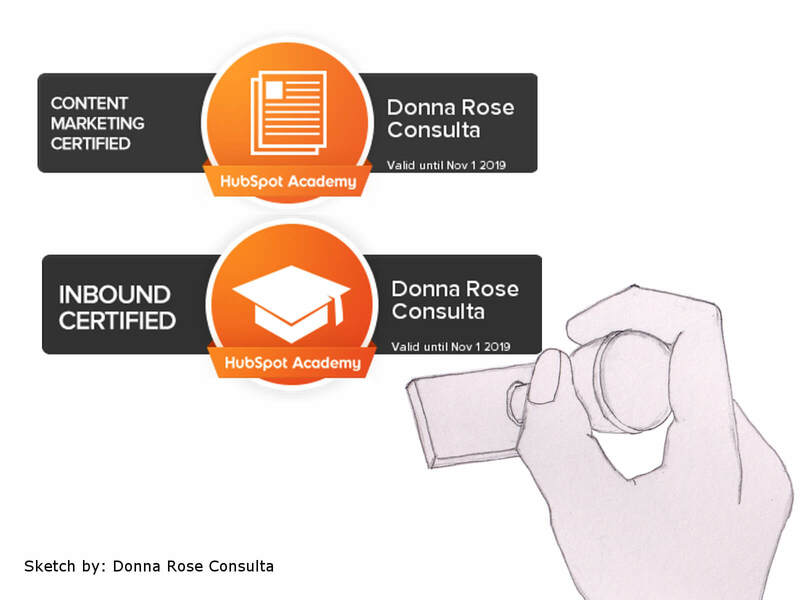 HubSpot Certification Class introduced two types of content promotion that every beginner freelance writer could use. First is organic content promotion which can improve brand authority across different platforms. The last is paid content promotion that is offered to highly specific audience or target market. Create a content promotion calendar. Use segmentation to give room for customization. Create custom message for each channel or segment. Continue to experiment and optimize content promotion campaigns. Analyze each campaign to see which works or needs improvement. Whether you like it or not, you should learn a thing or two about content marketing. Besides from the fact you need to acquire additional special skills to be an effective freelance writer. It might be daunting at first but as you progress on your freelance writing career it will later become a habit and helpful in the long run. Donna Rose Consulta is a creative brand storyteller who made it a mission to help businesses improve their content marketing strategies. She is not a picky writer but her specializations are technology, lifestyle, digital marketing and health. You can find her on Twitter, LinkedIn or Google+ to stop her from her obsession of posting puppy pics.